You will be given a reference e-book to read which has 637 pages And the test will be based on that e-book , you can take final test within 1 year of purchase. Web marketing or otherwise referred to as internet marketing is the process of advertising and marketing products and services through the internet. The process is also said to have an extremely broad scope because it does not only cover marketing with the help of the internet but also promotional, advertising and marketing services done through wireless media and e-mail. Different types of system like electronic customer relationship management system and digital customer data system are also used in various web marketing campaigns to make each of these even more effective. If you want to become more familiar about how the web marketing process is carried out, then you should consider enrolling in a web marketing certification course. Being a certified web marketer will improve your skills in web marketing while also helping you bond together the technical and creative aspects of the internet such as advertising, sales, development and design in order to produce the most desirable results out of all your online marketing campaigns. It should also be noted that web marketing involves the proper placement of media into various customer engagement cycle stages with the help of effective online marketing techniques including search engine optimization (SEO), search engine marketing (SEM), banner advertising, mobile advertising and email marketing. Being skilled in web marketing is never a difficult process considering the presence of a very detailed web marketing certification program offered by Brainmeasures. The web marketing course which is available in Brainmeasures is a major help in your attempt to become more familiar about all the concepts linked to web or online marketing and all the web marketing strategies that you can use. 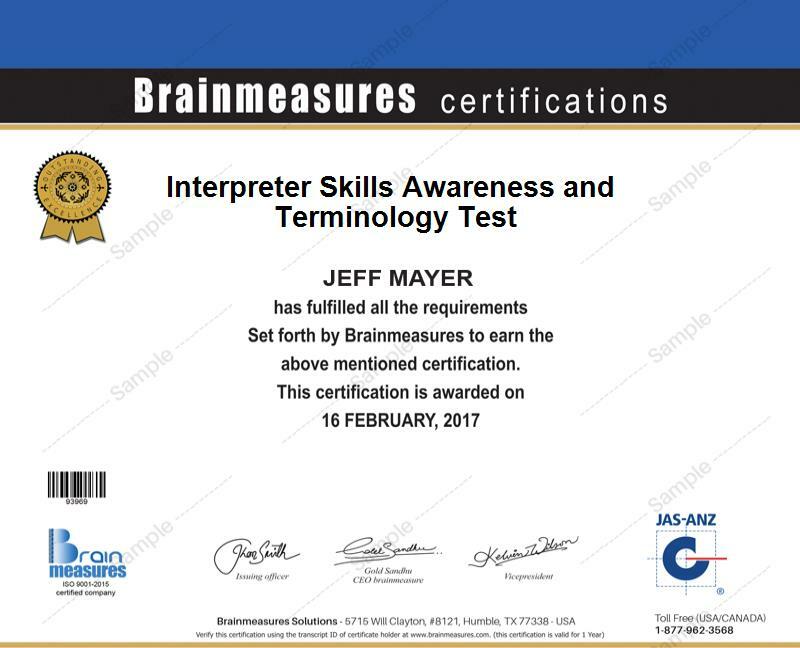 The web marketing certification program offered by Brainmeasures is detailed enough that you will never find it impossible to learn everything about the different types of web marketing including display advertising, SEM, SEO, social media marketing, email marketing, affiliate marketing, referral marketing, video marketing and inbound marketing. This certification course also aims to give you a more detailed background about the different business models used in web marketing including e-commerce, lead based websites, affiliate marketing and local internet marketing. Due to the comprehensiveness of the web marketing certification course offered by Brainmeasures, you will never find it impossible to get a passing percentage once you take the web marketing exam and earn your certificate right after it. The web marketing certification program offered by Brainmeasures is perfect for those who are doing marketing activities online. This is most suitable for marketers who are just starting to carry out marketing activities through the internet and professionals in the marketing department of an organization who wish to learn the basics of internet marketing and understand the major strategies that they can use in this field. Earning a huge amount of salary is possible after you receive your web marketing certification. Your salary will actually be dependent on your experience, location and employment status. If you work as a web marketing manager, then your average annual income will be around $74,000. If you work as a search engine marketing professional, then expect your annual earnings to range from $45,000 to $350,000. Social media marketing experts, on the other hand, can earn between $30,000 and $250,000 per year. There are still a lot of available positions with a decent flow of income that are perfect for web marketing certification holders so it is just right for you to get your certificate in this field.